As he’s done every offseason since taking over as coach of the New York Lizards in 2012, Joe Spallina closely surveyed the roster to figure out how the team could improve. Following narrow playoff defeats in two of the last three years, the team needed a change if it was going to challenge for the Major League Lacrosse championship, a title that’s alluded the Lizards since 2003. This past January, Spallina orchestrated the biggest trade in league history by obtaining superstar midfielder Paul Rabil, widely considered the top player in the sport, along with Mike Stone from the Boston Cannons for a package of players and draft picks. Rabil is a seven-time MLL All-Star and holder of the league’s single-season all-time points record, while Stone is a two-time MLL All-Star. “Midfield was the area we felt we needed to upgrade,” Spallina said. “We did some homework and called a few teams we thought could be trade partners. While speaking to Boston about some other players, Paul’s name came up… the last thing I wanted to do was miss out on getting the best player in the world. The Lizards are one of MLL’s original six franchises founded in 2001, but it’s been no yellow brick road for the team. Season results have wavered and last August they were eliminated from the playoffs by eventual champion Denver in a back- and-forth semifinal (14-13). Coach Spallina’s moves to trade up have Paul Rabil at the center as much for his playing as for his can-do- anything attitude. Dubbed “Lacrosse’s Million-Dollar Man” by Business Week, Rabil has titles at the NCAA, NLL (National Lacrosse League), FIL (Federation of International Lacrosse) and MLL levels and has also played for the United States National Team in 2010 and 2014. 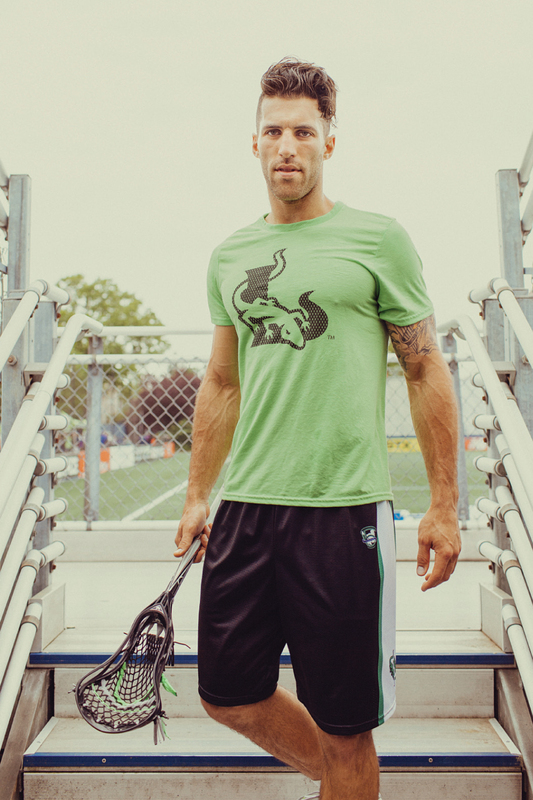 Off the field, Rabil’s sense of entrepreneurship extends to his dedication to lacrosse. 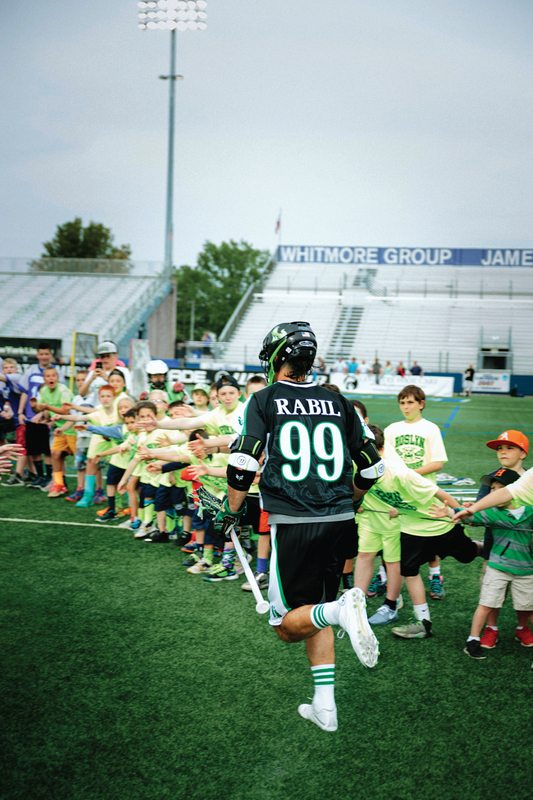 The Paul Rabil Foundation helps children with learning differences through sports and scholarship. The Paul Rabil Experience is his online resource focused on sharing technique, strength, conditioning and nutritional advice. Project Nine is Rabil’s intensive, invitation-only training camp for athletes to work with coaches and staff directly towards accomplishing the highest levels of skill in the sport. And Rabil has his own line of equipment and numerous commercial endorsements pushing it all along. Rabil and Stone joined a roster spearheaded by attackman Rob Pannell, who’s also considered among the top players on the planet. The first-overall pick of the 2012 draft and a native of Smithtown, Pannell earned Rookie of the Year honors in 2013 and last season led the Lizards in scoring with 33 goals and 23 assists. The Lizards are not just basking in the sun of their trade glory. At the six-game mark this year, they were more than halfway to the 70 assisted goals scored all of last season.